This entry was posted in Photos, Politics, Random Thoughts, Words of Wisdom on November 21, 2014 by gordonglantz. The government and individual Americans cannot do enough to our military veterans. 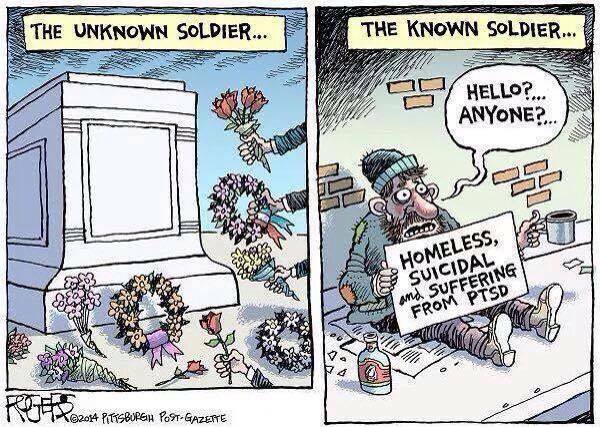 I was disturbed when I first heard of the many homeless veterans. That was back in 2007. At that time the U.S. Department of Veterans Affairs report estimated there were 195,827 homeless vets. And I was astounded further after the Veterans Administration opened up an office in Norristown in 2010 to begin counseling and therapy for military veterans suffering from Post Traumatic Stress Disorder and other conditions. This should have been done DECADES ago. Why did it take so long?